Satisfy your inner culture vulture at Palacio de Aguas Corrientes and Fundacion Proa. Discover out-of-the-way places like Estadio Ciudad de La Plata and Plaza Moreno. Explore Buenos Aires' surroundings by going to San Isidro (Catedral de San Isidro & Villa Ocampo), Museo de arte Tigre (in Tigre) and Planetario Ciudad de La Plata (in La Plata). 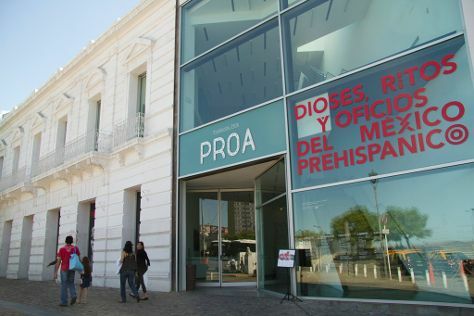 There's still lots to do: see the interesting displays at Museo Evita, wander the streets of Abasto Shopping, make a trip to Paseo La Plaza, and explore the activities along Lagos de Palermo. To see more things to do, maps, photos, and more tourist information, read our Buenos Aires tour planner. If you are flying in from United States, the closest major airports are Jorge Newbery Airpark and Ministro Pistarini International Airport. In December, daily temperatures in Buenos Aires can reach 82°F, while at night they dip to 68°F. Cap off your sightseeing on the 2nd (Tue) early enough to travel back home.